Hi, this is Marc Rufer from d-fens GmbH. I started working at d-fens as a Software Engineer this week. I already wrote some posts and I’ll continue sharing information about my work on this blog. In todays blog post I’ll explain step by step how to set up a build configuration for a PowerShell-Project on a JetBrains TeamCity 9 server. The build configuration will be responsible to create a NuGet-package out of the PowerShell scripts. To show the build configuraiton I used the PS.System.Utilities project, which is available on GitHub, as sample. 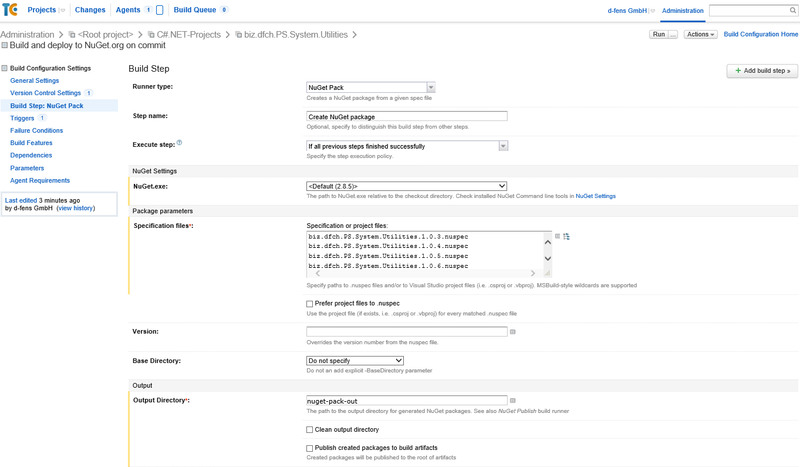 The distribution of the NuGet package to a NuGet repository can be directly integrated into the build process. 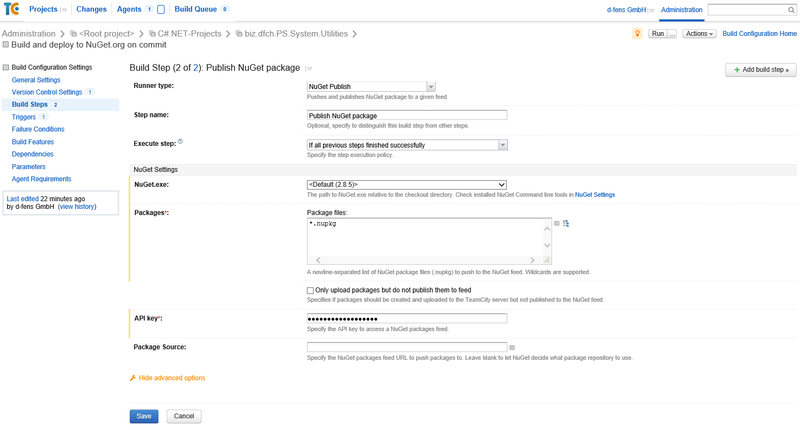 To integrate the distribution into the build process you have to perfrom the following steps. Under package files you can define which packages should be uploaded. The following message appeared in the build log. [push] Failed to process request. ‘The specified API key is invalid or does not have permission to access the specified package.’. The API key was valid, so I searched for the reason of the problem and found a discussion on stackoverflow with the answer to the problem. The same message appears in the build log if the package already exists on the nuget repository.